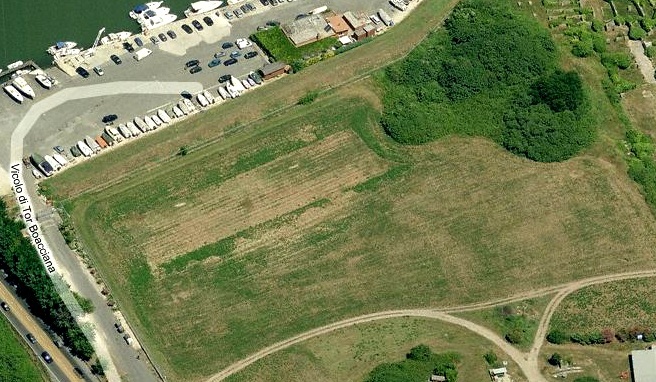 Archaeologists have unearthed the great ancient monuments of Ostia, but the location of the harbour which supplied Rome with wheat remained to be discovered. Thanks to sedimentary cores, this « lost » harbour has eventually been located northwest of the city of Ostia, on the left bank of the mouth of the Tiber. Stratigraphy has revealed that at its foundation, between the 4th and 2nd century BC, the basin was deeper than 6.5 m, the depth of a seaport. This research was carried out by a French-Italian team of the Maison de l’Orient et de la Méditerranée (CNRS / Université Lumière Lyon 2), the Ecole Française de Rome and Speciale per i Beni Soprintendenza Archeologici di Roma – Sede di Ostia (1) and will be published in the Chroniques des Mélanges de l’Ecole Française de Rome in December 2012. 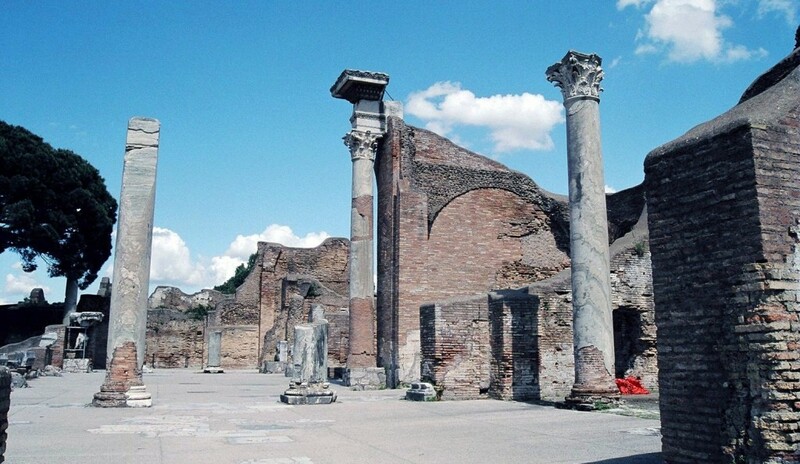 According to ancient texts, Ostia was founded by Ancus Marcius, the 4th king of Rome. This new settlement is supposed to have aimed three goals: to give Rome an outlet to the sea, to ensure its supply of wheat and salt and finally, to prevent an enemy fleet to ascend the Tiber. Archeological excavations showed that the original urban core (castrum) dates back to the turn of the 4th and 3th centuries BC. Major ancient buildings and main roads were progressively revealed, but the location of the Ostia river mouth harbour remained unknown to this day. For some, it was considered as lost forever. Since the Renaissance, many attempts to locate the harbour of Ostia were undertaken without success. It was not until the 19th and 20th centuries that Italian archaeologists defined an area north-west of the city, near the Imperial Palace. At the turn of the century, archaeologists confirmed the probable location of the basin, in that zone, by using geomagnetic instruments. However there was still no consensus on the exact location of the port and the debate was still alive. A French-Italian team led by Jean-Philippe Goiran, CNRS researcher, has tried to definitely verify the hypothetical location of the harbour, by using a new geological corer. This technology solves the problem of groundwater which makes this area rather difficult for archeologists to excavate beyond 2 m deep. (1) The deepest stratum, before the foundation of Ostia, indicates that the sea was present in that area in the early 1st millennium BC. (2) A middle layer, rich in grey silty-clay sediments, shows a typical harbour facies. According to calculations, the basin had a depth of 6.5 m at the beginning of its operation (dated between the 4th and 2d centuries BC). Previously considered as a river harbour that can only accommodate low draft boats, Ostia actually enjoyed a deep basin capable of receiving deep draft marine ships. (3) Finally, the most recent stratum, composed of massive alluvium accumulations, shows the abandonment of the basin during the Roman imperial period. With radiocarbon dates, it is possible to deduce that a succession of major Tiber floods episodes of the Tiber finally came to seal the harbour of Ostia between the 2nd century BC and the 1st quarter of the 1st century AD (and this despite possible phases of dredging). At that time, the depth of the basin was less than 1 m and made any navigation impossible. It was then abandoned in favor of a new harbour complex built 3 km north of the Tiber mouth, called Portus. This alluvium layer fits with the geographer Strabo’s text (58 BC – 21/25 AD) who indicated the sealing of the harbour basin by sediments of the Tiber at that time (Geographica, 231-232). The discovery of the river mouth harbour of Ostia, north of the city and west of the Imperial Palace, will help better understand the links between Ostia, its harbour and the ex-nihilo settling of Portus, initiated in 42 AD and completed in 64 AD under the reign of Nero. This gigantic 200 ha wide complex became the harbour of Rome and the largest ever built by the Romans in the Mediterranean. Between the abandonment of the port of Ostia and the construction of Portus, researchers estimate that nearly 25 years have passed. Rome was the capital of the ancient Roman world and the first city to reach one million inhabitants. So how was it supplied with wheat during that period? The question arises now researchers.